Just a little update with some recently changed books. First of all, I moved the Earth X Trilogy. 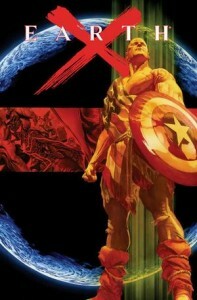 The Earth-X books were all moved way up the list to right after Heroes Reborn: The Return. It starts in 1999, but putting it right there puts it right after the “Vol. 1” book of several primary ongoings, so I just moved it to the start of 1998. That way, you basically take a break from 90s marvel and go into the new Avengers, Iron Man, Captain America, Thor, and Inhumans ongoings as soon as you get back from your Earth-X journey. I may be wrong about this placement, as it’s possible the books do get influenced by main continuity later. If so, let me know? Here are the other updates – including some tweaking so Marvel Cosmic flows better. Thoughts? 1998 seems a little early for Earth X. I’m inclined to say it’s more in keeping artistically and thematically with the Nu-Marvel era, around the start of 2001.